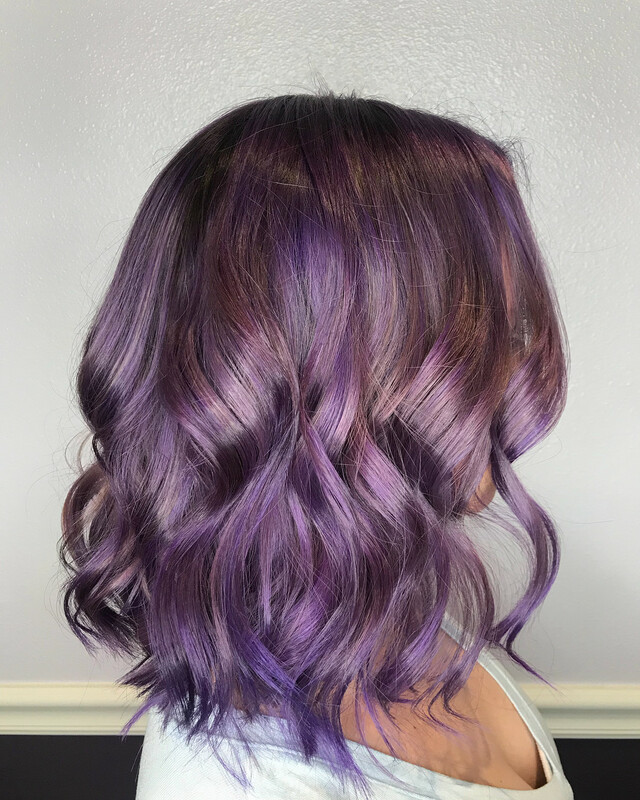 Violet Purple Rhapsody hair color by stylist Katie Miller at Vamp Salon LLC. Hairstyle, haircut, and hair color inspired by elements of nature. Inspirations come from nature to create this truly unique TIGI Copyright Colour. Treat yourself with a color makeover. Contact our Tigi Copyright Colour specialists at Vamp Salon LLC. Color & Cut by Katie Miller.